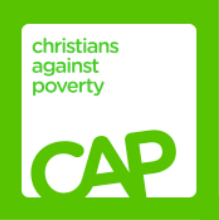 CAP – Christians Against Poverty is about releasing people from a life sentence of poverty, debt, unemployment and addiction. We aim to bring good news, hope and freedom to people in the parish. CAP (see website here) is a national organisation that runs courses in local churches to help with financial advice. The CAP Money Course is a free course that will teach you budgeting skills and a simple, cash-based system that works. In just a few weeks, you will get to grips with your finances so you can budget, save and prevent debt. Whether you feel pretty organised or whether it’s like a lucky dip every time you try to withdraw cash from your account, the CAP Money Course will help you take complete control of your finances. Bradwell Church runs courses by our trained helpers in a friendly informal environment to give advice and help lift people out of poverty. See “Latest News” or “Events” for the next course or contact us to find out more.